A loan of $10,000 helped upgrade a busy but outdated website, hire an admin/office person and purchase inventory to grow our popular Bronwens Global Market. Bronwen Lodato has been making jewelry for as long as she can remember. She grew up on a cherry orchard in central Oregon and, between changing sprinkler lines with her family, she spent her time free roaming the hills around their homestead for interesting objects to string on fishing line. Her inspiration to start a business stems from a life lived in motion. The idea began in her 20’s while instructing backcountry expeditions for Outward Bound; Bronwen began fielding requests for jewelry that was strong enough to withstand the rigors of the outdoors but still be delicate enough to feel feminine. An early seed was planted and 12 years later she launched the Bronwen Jewelry brand in 2008. Since then, the artisan brand has been steadily growing and is today the leader in an “Active Jewelry” category that the Bronwen brand pioneered. Bronwen herself is fueled by outdoor adventure to stoke her creativity and world travel to inform her collections. Bronwen and her incredibly loveable and talented team work happily out of their sunny studio in downtown Bend, Oregon. It helps a social entrepreneur expand her durable jewelry line and support local economies. Bronwen Jewelry is an artisan line of jewelry made with great care in Bend, Oregon. 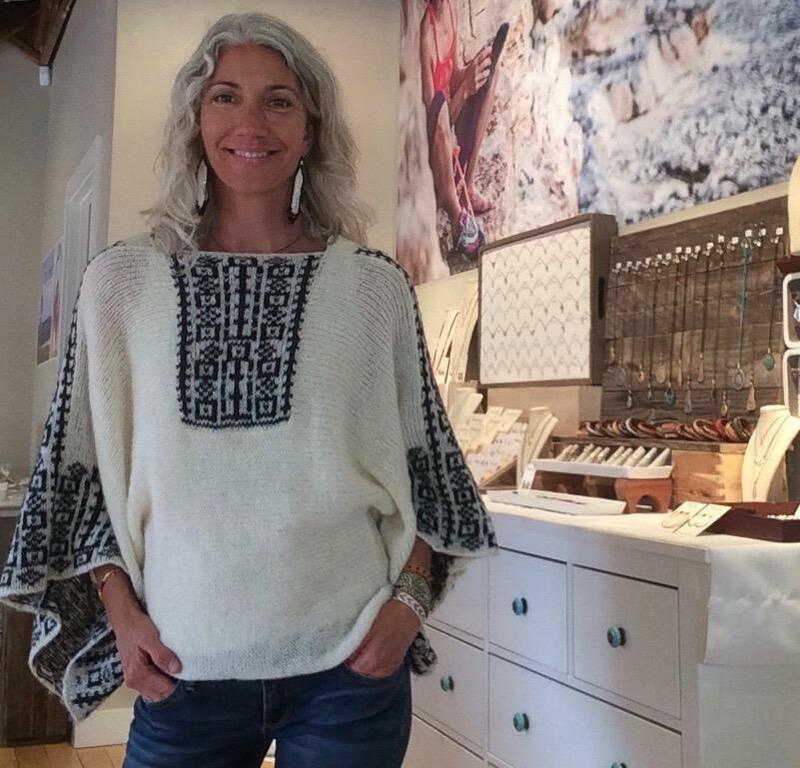 We are primarily a wholesale business but we keep a showroom in our studio where local Bend customers and tourists often come shop. Our jewelry is designed for the modern adventuring woman; Bronwen Jewelry embodies the spirit of outdoor adventure and the lifestyle of travel. Our jewelry has integrity, is durable, innovative and gorgeous…a direct reflection of its very loyal collectors. We believe strongly in our product and we offer a lifetime warranty to all of our customers and dealers. Our business represents more than just making beautiful jewelry. Our work is a labor of love in the truest sense; what a gift it is to be able to make your passion your work and we are reminded of this gift daily. We believe that as business owners, it is our responsibility to conduct business in the same way we conduct our personal lives. We believe that it is the right choice to handcraft our jewelry in the USA using fairly traded artisan materials that support local economies. We believe that environmental and social equity is not a marketing strategy but rather a responsibility of conducting business on this planet. We've partnered with many admirable non-profit organizations to increase the impact of their good work. This is one of the aspects of our business from which we take the most joy. $6K will be spent on a portion of our new website, which will finally be mobile and fast so our web sales will increase monthly by way of more efficient and fun user-experience $3600 will be spent on a portion of hiring an admin/office personnel to reduce the amount of time I spend on administrative tasks $400 will be spent on purchasing inventory (already identified) for our Bronwens Global Market which allows our customers the armchair experience of travel while participating in the support of global artisans in a Fair Trade purchase. A Kiva Loan will decrease the financial stress of managing the cash flow demands of a small business responsible for a payroll by creating useable capital for projects necessary to scale and grow - which in turn makes for a happy business owner which is good for business! Why are you endorsing Bronwen? Bronwen is incredibly passionate, responsible and professional. Bronwen has worked incredibly hard over the past 10+ years to build a viable business and brand. Bronwen has an amazing creative sensibility and style, people love her jewelry to the point of obsession. And she has a magnetic personality, people are drawn to her and to helping her succeed.